Formed in 1966, the Essex Olympian League is a league that has its Premier Division at Step 7 of the National League System. The league has three other divisions for first teams (technically outside the NLS) and three further sections for reserve teams (although some reserve teams of clubs from higher leagues do play inside the main structure). 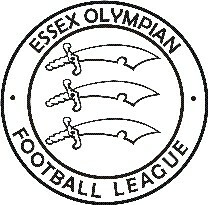 From 1986-2005, the league was known the Essex Intermediate League. The League has an absolutely superb website at http://www.eofl.co.uk, which has all the current information about the league plus an extensive archive section. The league changed name to the Essex Intermediate League in 1986. The league added a third division in 1989. The divisions were re-named in 2007. The F.C.H.D. has the complete final table information for this league. Recent seasons were compiled from contemporary sources, while earlier ones are based on information from the league website. The league operated separate reserve divisions from 1968 to 2015. In 1982, a second Reserve Division was added. The league added a third reserve division in 1989. In 2014, Reserve Division Three was dropped.